Thank you for visiting Båtagent Sweden's website ww.batagent.se. Below we describe the rules that apply to the use of the websites provided by Båtagent Sverige AB. By entering www.boatagentsweden.cm you are deemed to have accepted these terms. Båtagent Sverige AB reserves the right to change these terms at any time, but also to update or change the site. Right to use the material on the website, etc. The material on the site may be protected by copyright law. This applies, for example, to pictures and texts. It is not permitted to reproduce, distribute or otherwise make available copyrighted material without the consent of the rights holder. The right holder may be Båtagent Sverige AB or another whose material Båtagent Sverige AB has purchased the right to use for certain purposes. Båtagent Sverige AB registers and treats speculators, customers and other persons' personal data and contact information in our database. This is considered to be the registered person by sending their information via our website or by email to Boat Participant. The purpose of the processing of personal data is primarily to administer the transfer of boats as well as to complete entered agreements or actions requested before agreement is reached. This includes the publication of data and images on own or partners' websites for the promotion of the boat being conveyed. 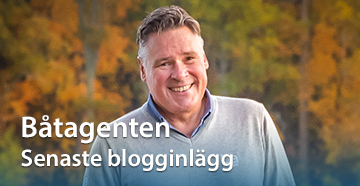 Båtagent Sverige AB never distributes personal information to third parties, but may use them to send advertisements regarding our services, products and partners. You as a customer are always entitled to refuse such mail and request removal from our database if desired.